Since the very beginning of cycling history the sport has been plagued by cheats, who use drugs and other devious means to get ahead. In recent decades cycling has become the unwilling poster child for drug abuse in sport. But as cycling fans we all know just about every sport is plagued by unscrupulous athletes and others who use drugs and other clinical methods to achieve lofty goals. What has brought cycling to the fore is that it has attempted to rid itself of this scourge. 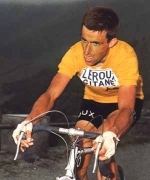 When Tom Simpson died on the Mont Ventoux climb in the 1967 Tour de France there was great shock and sadness. Many vowed to change the way the peloton was monitored and just about every rider professed to be ‘clean’. 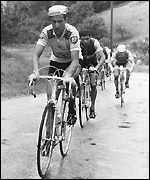 As a symbol of the new drug free era, the 1968 Tour de France dubbed itself ‘the Tour of Health’. Sadly as the years progressed it was clear that the pro peloton had done virtually nothing to change its ways. Every now and then a significant rider would be caught. In 1978 Belgian National Champion Michel Pollentier won the TdF stage into Alpe d’Huez but he was caught trying to place some-one else's urine into his test container. 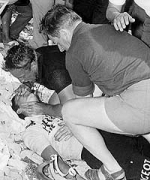 He was ejected from the Tour and although he eventually returned to racing and won some significant races the former aura of the athlete no longer dazzled the fans. During this period using a urine substitute was a fairly common practice. In one case the test results indicated that the rider was pregnant! Apparently he had substituted his wife’s urine for his own. The 1998 ‘Festina Affair’ was a major watershed in the evolution of drug detection and the subsequent penalties imposed on the guilty. The entire Festina Team returned results which indicated that every rider was taking banned substances. 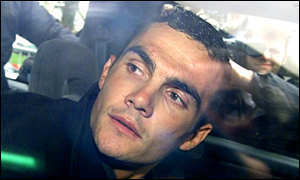 Famously, Richard Virenque (pictured to the left) tearfully pleaded to his legions of fans that he was unlike his team mates and was clean. Eventually he was proven a liar and paid the penalty of guilt. From Festina we moved to the still unresolved ‘Operacion Puerto’ case. The now infamous Dr. Fuentes is accused of supporting potentially hundreds of athletes (not just cyclists) in their efforts to ‘beat the system’. 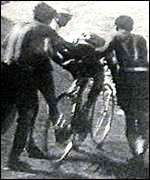 From this case we have seen some very high profile riders crash and burn. Ivan Basso was linked with Fuentes, but he denied it for the longest time and then, due to damning evidence, admitted his transgressions. This year he returns to racing after a two year ban. In recent years we have seen Floyd Landis stripped of his Tour win, Alexander Vinokourov ‘going positive’ after two incredible rides in the 2007 Tour and Michael Rasmussen being fired by his team on the day that he won a major Tour mountain stage. These high profile riders head a sad list of many other riders who have also been caught in the ever tightening grip of in- and out-of-competition tests. The UCI, WADA and even individual teams have been working with increased intensity in recent years to find tests and processes that make it virtually impossible to cheat. Doctors and scientists are continually developing new and improved drugs and blood manipulation techniques to battle genuine sicknesses such as cancer. Unscrupulous doctors discover that these new drugs provide incredible athletic improvements when administered to healthy athletes. These unscrupulous doctors convince athletes that they can help themselves with drugs, blood doping or whatever and that there are no tests available to prove that they have taken these measures. All the athlete needs do is drop a sizeable lump of cash in the doctor’s account and they are ‘guaranteed’ great success, glory and fortune. However for every unscrupulous doctor there is a legion of doctors and scientists who now develop tests to uncover illegal use of drugs. Sadly, as we saw last year, there are still riders who believe that they can cheat the system. In 2008 Ricardo Rico, Leonardo Peipoli, Bernhard Kohl and Stefan Schumacher headed the list of gullible riders who are now learning the hard way the cost of cheating. It is common for convicted criminals to be given a second chance at life once they have served their sentence. For athletes, and especially elite athletes, a second chance is a very rare gift. Many sponsors and race organisers do not want to be linked with riders who have been found guilty of using clinical methods to win races. Last year at the Tour of California in February the Rock Racing Team was invited to participate but the organisers stated that it was on condition that three of their riders were not allowed to start the race. Oscar Sevilla, Tyler Hamilton and Santiago Botero were the named riders. 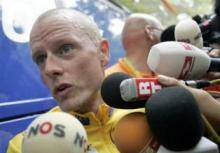 Each had been accused in previous years of drug use or blood doping and each had sat out their time from the sport with sanctions handed down by national cycling federations. No matter, the organisers did not want these infamous riders casting a cloud over their race. In 2008 the organisers of the Tour de France refused to invite the Astana team to the race. This was open retribution for what the Astana team, and especially Vinokourov and his team mate Kaschekin, had perpetrated in the 2007 Tour. 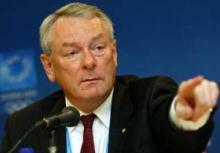 In fact the Astana affair headed by Vinokourov had almost destroyed that years Tour. 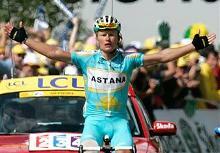 By 2008 the Astana team had been completely rebuilt with new management and new riders. Virtually nothing remained from the 2007 team except for the business people putting their sponsorship money into the team. For the Tour organisers the name Astana was not welcome in their race. The most unfortunate aspect of the 2008 Tour was that Alberto Contador, who was now part of the new Astana team, was unable to defend his 2007 title. So as the noose tightens on the cheats we are seeing a new phenomenon appear. Convicted riders are doing their time but when they return they discover that they are damaged goods and for the most part the glory days for them are over. In essence a two or four year ban really turns into a lifetime ban. Ethically this poses a very difficult dilemma but whatever the legal rights are, athletes are held to other unwritten laws by their sponsors and fans. For example, ask yourself how you would react to Ivan Basso or Floyd Landis winning a Grand Tour or Classic from riders like Cancellara, Contador or Sastre during their 2009 ‘come-back’ year? Whatever the legal and ethical rules may suggest, elite athletes belong to a group of special individuals. They are seen as role models, they are valued as representatives for products and services, and they aspire to that indefinable ‘star’ status. Once they are found guilty of cheating with drugs or some other unacceptable method, their credibility is demolished. It is (or should be) the same story for team directors, team doctors or anyone else found to be promoting drug use within the sport. An example is Manolo Saiz who for years ran successful teams until he too was caught in the Operacion Puerto web. He also now wants to come back to the sport, but who will trust him? This year it will be interesting to follow Basso and Landis. Should they succeed with exceptional race results then they will almost certainly be greeted with muted applause. And along with any other riders that have returned to racing following a drug related ban they will discover that in reality they form their own private peloton - the peloton of the damned!